Photographers who use photo management and editing apps have been caught in a changing market. Users of Apple’s Aperture had to deal with the demise of the app. Then there’s Adobe Lightroom, which used to be sold with a perpetual software license, but then Adobe changed it to a subscription-based model. If you’re a photographer seeking a powerful, traditionally licensed package, Skylum Software’s Luminar may be what you need. 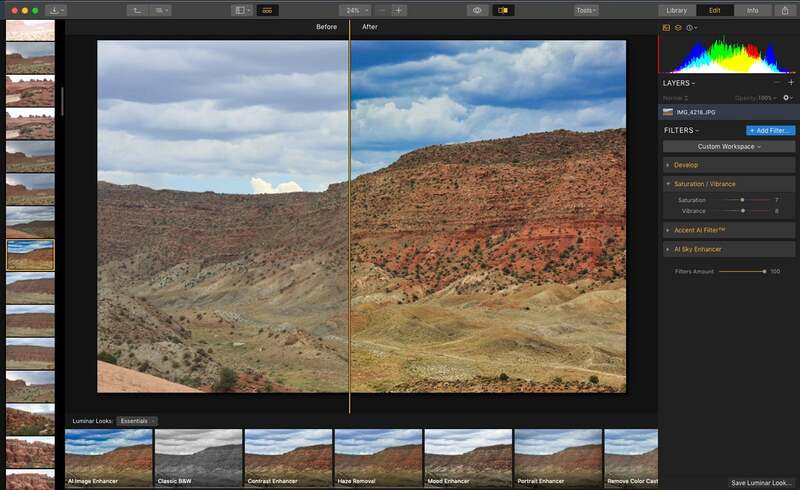 The new Luminar 3—also known as Luminar 3 with Libraries—offers a superlative, easy-to-use image editing app twith photo management capabilities. Luminar's expansive photo wall gives a scenic overview of your collection. 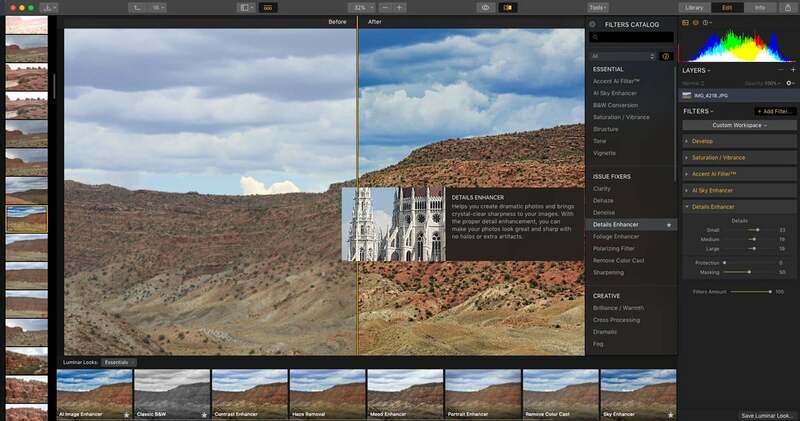 Luminar 3 debuts a new digital asset management feature called Libraries, which allows the app to compete with Lightroom functionality both in editing and photo management. It syncs with folders and subfolders and tracks all photo edits in a catalog, so you never have to move your photos out of their current location on internal and external hard drives, cloud storage, or card readers. If you change the name of a folder on your hard drive, or create a subfolder within the app’s image folder, the app will immediately record and sync the change on both ends. If you have a disorganized folder on your drive containing several shoots on a single card, for example, you can use Luminar to organize and sync them. Photos are arranged by date, but you can also create collections or search by star rating, color labeling, favorites, and virtual albums, though it would be nice if the thumbnail library also revealed file names. Luminar’s library offers additional quick ways to find photos, like Recently Edited, Recently Added and Quick Edits. You can create virtual albums on the fly, but there is no smart album feature. The Info tab contains only the bare bones camera metadata: the app does not yet support keywords, geotags, captions, or IPTC data. Artificial intelligence has become a buzzword in the photographic world where software compensates for the deficiencies of smartphone cameras and operator error. Skylum’s two new AI features, Accent AI Filter and AI Sky Enhancer, tackle the most frequent shooting issues. Accent AI Filter and AI Sky Enhancer are all you may need to punch up your photo. The slider-based AI Filter lets you dynamically improve your image even when you’re not sure what the problem is, or there are too many issues to individually correct. 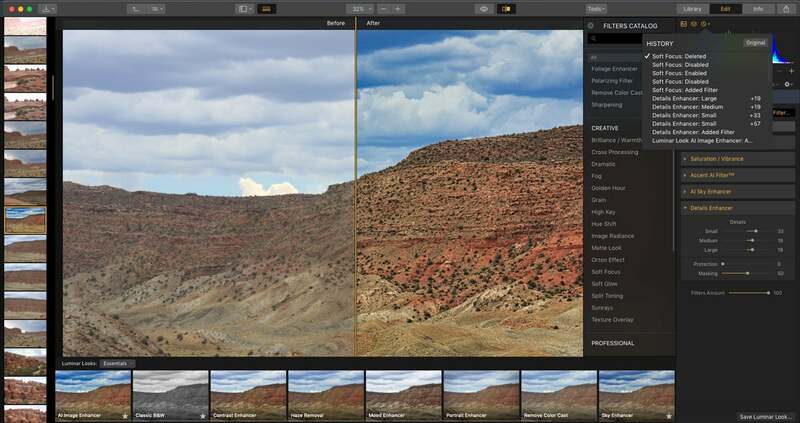 The Sky Enhancer offers an automated way to bring out more sky detail, often an issue for photographs. While the AI features are cool and useful, I found myself using them less often than I thought—at least not as a single mode of correction. More advanced photographers may find AI filters provide a good starting point to layer in additional edits. You can use the AI intelligent filters as a starting point for more targeted editing. 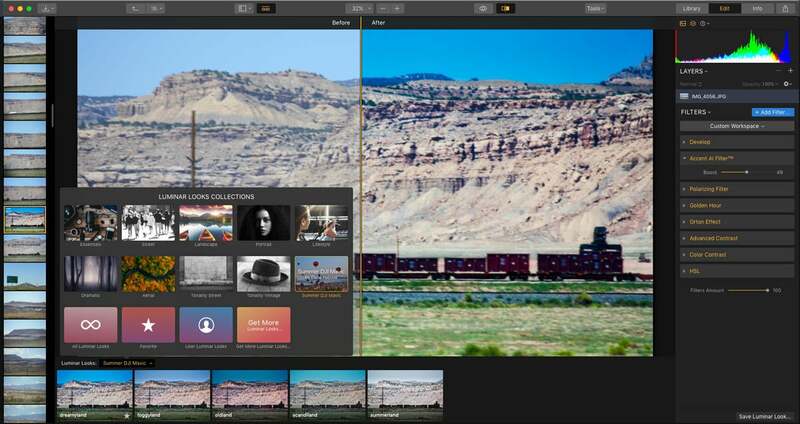 Luminar 3 presents you with a wall of photos so you can view whole portions of your library at a glance, complete with adjustable thumbnail views. As with previous versions, Luminar 3 is completely non-destructive, with each edit recorded in the catalog. You can go back into the history panel to revert to a previous edit or to the original photo. 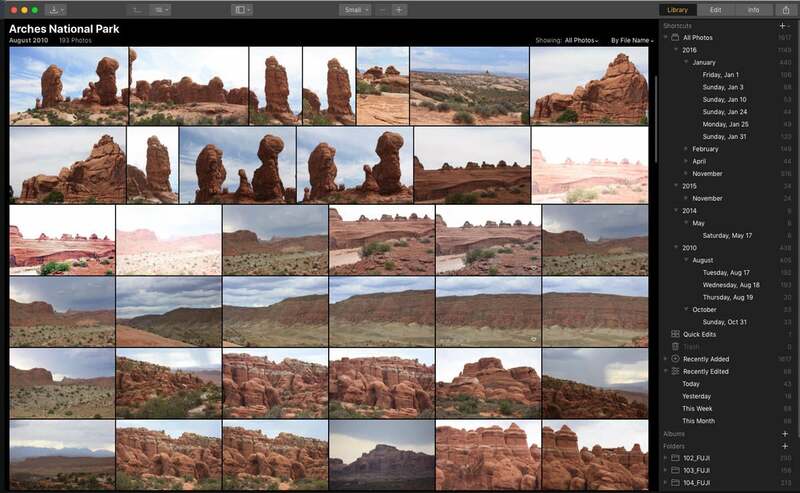 The History panel records all edits for your image and allows you to revert to a previous state or remove all edits. The app includes eight built-in workspaces that govern which editing tools are automatically available. The Quick & Awesome workspace has only four settings, including the two AI tools. But using the AI tools doesn’t prevent you from piling on additional edits via the Add Filter button, which lets you access dozens of built-in professional, utilitarian, artistic and creative filters from which you can create your own customized workspace. Even after you apply edits or Looks, you can still tweak photos with filters. Luminar provides an extensive library of Looks, one-click presets that fix or enhance your images. The program comes with seven built-in Looks categories such as Essential, Street, Landscape, and more. Each is equipped with a slider that lets you adjust the intensity. Additional Looks collections, as well as additional LUTs (lookup tables), Overlays, Workspaces, and Textures are available from the Luminar website. Some are free and others range in price up to $29. Luminar ships with preset Looks in various categories that apply one-click fixes and enhancements to your photos. 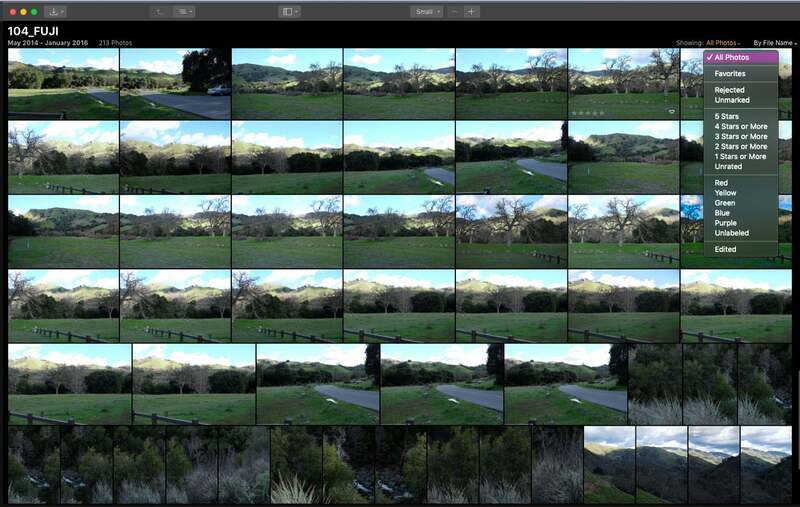 It’s quick and easy to batch process with Luminar’s Sync Adjustment feature. With it you can edit one photo, and when you’re happy with it, you can select others and use the command to apply the same edits or Looks. They Sync Adjustments feature lets you apply a combination of edits to a single photo and then apply that same formula to other photos. Even on older Macs, adding photo folders to the catalog was swift, with the resulting thumbnail previews showing up almost instantaneously. Single images, edits, and Looks take a fraction of a second to come into focus, which can get irritating if you’re sorting through many images. The more serious performance issues came from processes like the Erase tool—for content aware object removal—which took longer than was comfortable most of the time. While it crunched on the image, there was no progress bar or any indication of how long the operation would take. Organize and search photos according to various criteria. Luminar does not support video at all. While I do not expect a full-blown video editor, most photo apps can at least import and play video files. Luminar 3 is an outstanding prosumer editing alternative for people seeking abundant automation and creative options for a wide range of photos. Despite its many professional features, Luminar is easy to learn and use and lets you create stunning photos. Luminar’s new asset management system is rudimentary, so if you need more than the basics, you may want to continue using your current utility to track keywords, geotags, and IPTC data. However, development is ongoing, with a published roadmap that acknowledges needed features and outlines company plans to release them as free updates throughout the year.